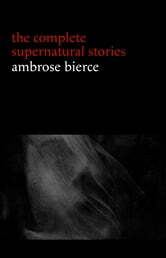 Ambrose Bierce (1842-1914) was an american editorialist, journalist, short story writer, fabulist and satirist. Bierce employed a distinctive style of writing, especially in his stories. This style often embraces an abrupt beginning, dark imagery, vague references to time, limited descriptions, the theme of war, and impossible events. He was considered a master of “Pure” English by his contemporaries, and virtually everything that came from his pen was notable for its judicious wording and economy of style. He wrote in a variety of literary genres. His short stories are held among the best of the 19th century, providing a popular following based on his roots. For his horror writing, Michael Dirda ranked him alongside Edgar Allan Poe and H. P. Lovecraft.